← Why the body reacts to form cancer Part 2. Before we consider the other example, of the woman in the office and the boss’s mates troubling her, I am going to explain some background information because it is “the person” that is affected and reacts by the cunning use of artificially “empowered” ideas, and I need to explain exactly what that means. So I will cover related/background issues that are needed for me to give you my understanding and not simply my understanding but an understanding that has enabled me to use mental prescriptions potently. Indeed this has something to do with what a lot of people commonly name “positive thinking”. I disagree that just thinking in positive terms will help in all cases. It may in some. To make the best use of positive ideas and to attain spectacular results one needs to understand certain things about the nature of reality and it is this understanding that I need to convey to you. You may have a different take on all of this and if you do I can’t say here positively that you will benefit. I am publishing my work here and it still needs to be verified by others.. humane others and those without a conflict of interests! However I can only say that I have shared my findings with some other people to help them resolve their health issues and they have reported back to me that they have also benefited. As well as an understanding of reality, one also needs to be aware of pitfalls, so I will explain what is relevant in that area here too. The understanding that I put forth to you is borne out of my overall experiences, i.e., mystical experience, understanding of disease, how to formulate and use mental prescriptions (over many lifetimes as I have memories of ) and how to successfully combat evil. Cancer is basically about using a person’s moves to protect some part of their body, against them. To fully appreciate what is happening here and what you can do about it, you need to see the big picture. There are three ways that a person can be affected, whether adversely or beneficially (which I will discuss further down). And please note that I am saying “a person”, not the body. The body and mind are really two aspects of the one and the same thing. For that reason I often call it the body-mind. We see body and mind as two separate things for two reasons. The medical establishment and the biological sciences in general insist that the mind is a function of the brain, generated by the brain or created out of the brain’s activities and that all thoughts are generated in the brain. All of that is conjecture and nothing else. It is not evidence-based. All we can say is that when a person is thinking, perceiving, reasoning we do see activity in certain parts of the brain but we cannot say anything more about it. 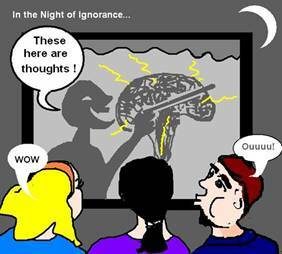 We cannot even say that those parts of the brain create thoughts or perceptions etc. We cannot say that this activity constitutes a mind either. All that we have is associated activity.. full stop! 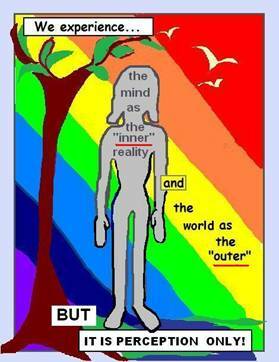 The other reason is that inner and outer is only a matter of perception. There is no separate “me in here” and “you and the rest of the world out the re”. Even without the realization of a non- physical aspect of reality, we find that the findings of modern physics point to reality as an unbroken and indeed unbreakable wholeness. They see sub-atomic particles popping in and out of existence, which they are saying are popping in and out of nothingness. And they are saying that things become something rather than nothing because nothingness is unstable. But that argument does not hold because an electron for instance does not pop into being and stay there. It oscillates between the two states, being and non-being. That nothingness is really “no thingness” because the mental aspect of ideas is not about things. Ideas or information is chosen and become manifest and the process repeats itself endlessly. Ideas are manifest to become “things” and then return again into the set of all ideas –the un-manifest and again become manifest and so on. Thus material existence is the manifestation of ideas or information, it is insubstantial though appearing to be substantial, and it is mutable. This means we can make choices to allow for change. It is these very choices that bring cancer into being and again by choice we can return the cells back to full functionality. Thus we have a universal platform that supports all life and everything in the universe. It is the substratum of the universe (and all universes), of all things physical that we see around us and of which our bodies are made. It can be called The Mind (if you are an atheist, agnostic or ignostic) or The Mind of God (if you are a theist). In our effort to understand it we can conceptualize it as an infinite mental/ non-physical matrix of ideas, which are really just information. In another way we can call The Mind as being void (darkness) and clarity (light) together. The personal mind is a subset of ideas. First I will say that the body is basically specific selections within the non-physical matrix (of void and clarity) and those selections can be altered but only under specific conditions. The personal mind is also a selection of ideas but it is just an aggregate of ideas that give rise to physiological responses, the major ones being emotional responses. The personal mind is not a set of selections of the matrix that give rise to something substantial. These ideas are a part of what makes up the person or ego-self, which is just a bias. Ego-self is ephemeral and only arising out of a mistaken identification with the mind’s activity. It is important here to note that we are indeed spiritual beings having physical experiences. As spiritual beings we have awareness and we have intent. There are many people, including some neuroscientists, Western Buddhists and New Age people among them, who have either had a “no-self” experience or have intellectually understood that there is no ego-self to be found but they have gone no further or they believe in materialism only. They conclude that we are all one and some even say we are all The One. This is not so. Finding the no-self experience is only finding the path. There is a long way further to go. Understanding, even in elementary terms what “the person” is all about is of extreme importance because it helps us understand the very nature of mental attacks and it helps us understand how to form mental prescriptions, which are essentially prayer in a specific form targeting something very precisely. I don’t want to go into my theory of personality here because it is too involved; however I will mention that the ego-self essentially arises out of two different conditions. One is the fascination with the world and what we see as our relationship to it through the senses. The other, and which is very important here, is inequality in relationship. This is a pitfall and the greater number of humanity has fallen into it, the 99.9999%. It can arise right from infancy and placing no blame on all parents. Certainly there are abusive parents and they create issues for their child of course. However even making the best possible efforts to be a good parent we can still create a bias. 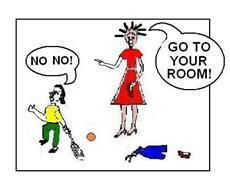 A parent who sees themselves superior or needs to be dominant over a child will create issues. A parent who is stressed and/or diseased will unwittingly create issues because the bond is affected (weakened or lost). But even a parent who holds the child in equal esteem may, in their best efforts to take care of their child, to foresee possible danger etc., unknowingly and unwittingly distort the relationship. It is a very, very delicate balance. No one or two instances will make a difference but certainly over time, with repeated similar instances, issues are created from the point of view of the child. When issues are created they constitute ideas in mind that point to some action needing to be undertaken in the body. That action in the body is almost always some emotional response. So over time and with various issues , a pattern is developed and an identification with that pattern is established. You can think of it as a script and movie that are really one because the actor acts according to the script in making the movie. So while ideas can be presented the toxic people cannot affect the body of another person without “moving” the person, ie moving them to action. The person is moved through concern and mistaken associations to initiate a defense strategy in the body. No ideas as evil people can present work directly on the body. 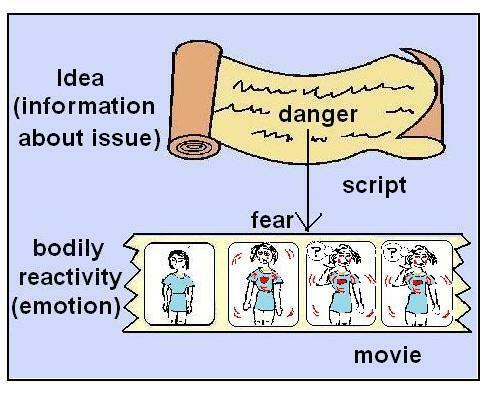 Ideas presented by evil people can only affect the body by moving the person to action. A humane (non-toxic) person however, who owing to the application of a directive to the universe, can directly affect the body of a txic person(s) owing to an application of universal law. This is the case of the counter-padea (a counter pathological idea). So the big picture.. the three ways that a person can be affected by others. Doing harm by the use of created issues to artificially empower presented ideas –what evil people do. Using counter-padeas, which is what a humane person can do to protect themselves and their loved ones, those in their care and anyone else that asks for protection and who is humane AND their property. These require no created issues or anyone else. The healing effect of a healer, as for example a prayer giver or a shaman in tribal cultures or a group of meditators. The first case is artificial and lame when the truth be known. It only affects the person who is unsuspecting of the foul play and who is deceive and/or intimidated by the issues created and their seeming association with the ideas presented. Foul play employs ideas that are based on totally unrelated co-existing conditions. The game is all about deception. 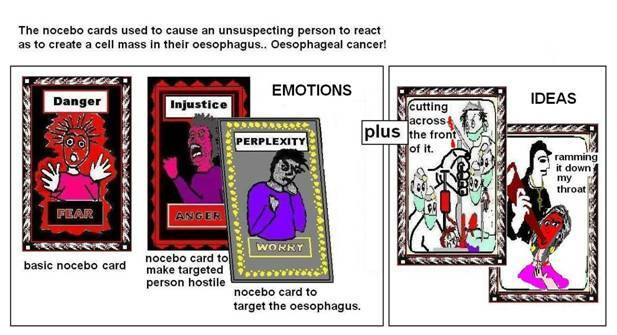 The nocebo cards that are dealt out.. The second one, the counter-padea I will explain later but basically there is debt created by the offenders, which enables the targeted person/ victim to have a direct effect on them. And the third situation I will also explain later. But I will say here that it can only come about with the permission of the patient/ person affected. You cannot over-ride another person’s will under normal circumstances, i.e., if there is no debt owing.You cannot heal someone who is either ignorant of the healing or doesn’t give permission, except under extraordinary circumstances. On the next post I will address the issues more closely and look at how we can use counter-padeas and mental prescriptions. This entry was posted in Big picture, cancer, children, counter-padeas, creating issues, disease, emotions, formation of cancer, foul play, heal yourself, healing, ideas, information, issues, mind, nature of ego-self, nature of reality, no self, nocebo, non-toxic parent, padeas, personal self, physical reactivity, relationships, self help, shaman, The Mind, The Mind of God, thoughts, toxic parent, toxic relationships, Uncategorized and tagged "inner and outer", Alexander the Great, big picture, bond, cancer, counter-padeas, discrimination, ego self, emotions, empowered ideas, equality of relationship, evil people, foul play, Gordian knot, healers, healing effect, ideas, inequality of relationship, issues, mind, nature of reality, no self, nocebo cards, origin of thoughts, padeas, permission of the patient, personal mind, personal self, positive thinking, relationships, The Mind, The Mind of God, Toxic people, toxic relationships. Bookmark the permalink.